PETZL TACTIKKA Head Torch Fishing Hunting Camping. Used a couple of times. Condition is as new. Dispatched with Royal Mail 2nd Class. 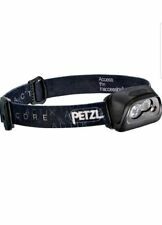 Petzl LED Head Torch Military Hiking Headlamp Camo UK. Condition is Used. Dispatched with Royal Mail 2nd Class. Petzl Tikka XP in Black 180 Lumens Compact LED Camping Outdoors Headlamp / Torch. Used but in amazing condition. Dispatched with Royal Mail 1st Class. MAX POWER 150 lm 55 m.
The Petzl Tikka Compact Headlamp is practical for outdoor activities like camping or trekking, or for travelling, and also for daily activities and projects around the house. GET YOUR ORDER. Sporting Goods. Simple universal charging via the USB plug. Unused Petzl Tikka XP headtorch. BATTERIES INCLUDED: headlamp runs on three AAA/LR03 batteries. EASY TO USE: simple push-button system for quick lighting mode selection. The Tactikka Plus by Petzl is a compact and powerful headlamp with white or red lighting to preserve night vision and ensure stealth. Red lighting preserves night vision and stealth. Three lighting modes: MAX AUTONOMY, STANDARD and MAX POWER. Petzl Zipka Headlamp. Condition is Used. Dispatched with Royal Mail 1st Class. Spare bulb included. In used condition. The elastic is in good order. Compact and lightweight head torch weighing only 85g. CE certification. IP X4 watertightness. Wide beam pattern. Compact headlamp, ideal for hunting and fishing, with white or red lighting to preserve night vision and ensure stealth. Important Information. For the USA only. 42 grams for headlamp only; 78 grams with the batteries installed. One size fits all headband. Max Brightness: 50Lm. 2x CR2032 lithium batteries (included). - Wide beam pattern. - Waterproof to IPX7 (-1m for 30mins). Total Access Direct. © Arco Professional Safety Services Ltd. Devices & Connectors. If in doubt about compatibility see "Is the Core battery compatible with my headlamp?". at petzl dot com. 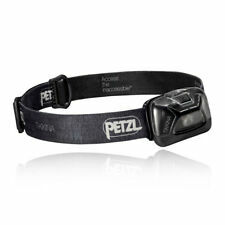 Petzl Actik Multi-Beam 300 Lumens Headtorch. Duplicate present I received two of what I specifically asked for! The Tactikka Plus by Petzl is a compact and powerful headlamp with white or red lighting to preserve night vision and ensure stealth. Three lighting modes: MAX AUTONOMY, STANDARD and MAX POWER. the headband can be undone for easy donning. Users simply download the profiles provided or create their own personalized ones. Battery life is optimized and the manipulations are reduced to a minimum! Petzl's patented washable and adjustable headband has two-part construction for optimal positioning during dynamic activities. PETZL PIXA 1 Head Torch. CONSTANT LIGHTING technology: brightness does not decrease gradually as the batteries are drained. Available in ATEX or HAZLOC versions. Headlamp suitable for proximity lighting, with CONSTANT LIGHTING technology. The next headlamp in the line of Petzl Pixa products is the Pixa 3R. The Petzl Pixa 3R will automatically switch to reserve mode when the battery is almost drained. A blinking light and red indicator will signal this. Watertightness: IP X4 (weather resistant). Certification(s): CE. Energy: 2 lithium CR2032 batteries (included). The head swivals on the mount to aim the light where you need it. Locking on/off switch designed to prevent accidental operation. White lighting allows you to move around easily in the dark.